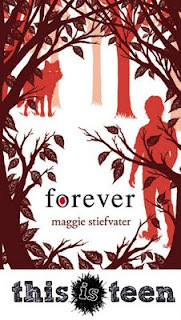 Forever Blog Tour + Giveaway! I settled on the floor and whispered to Sam, “I want you to listen to me, if you can.” I leaned the side of my face against his ruff and remembered the golden wood he had shown me so long ago. I remembered the way the yellow leaves, the color of Sam’s eyes, fluttered and twisted, crashing butterflies, on their way to the ground. The slender white trunks of the birches, creamy and smooth as human skin. I remembered Sam standing in the middle of the wood, his arms stretched out, a dark, solid form in the dream of the trees. His coming to me, me punching his chest, the soft kiss. I remembered every kiss we’d ever had, and I remembered every time I’d curled in his human arms. I remembered the soft warmth of his breath on the back of my neck while we slept. I remembered Sam. Later, I thought of the things I could have added to the list of resolutions, things I'd wanted back before I realized what being a wolf meant for my future. Things like Write a novel and Find a band and Get a degree in obscure poetry in translation and Travel the world. It felt indulgent and fanciful to be considering those things now after reminding myself for so long that they were impossible. I tried to imagine myself filling out a college application. Writing a synopsis. Tacking a sign saying DRUMMERS WANTED on the corkboard opposite Beck's post office box. The words danced in my head, dazzling in their sudden nearness. I wanted to add them to my index card of resolutions, but I just . . . couldn't. Today we're giving away this framed original sketch of Sam as well as an ARC of Forever to one lucky commenter. All you need to do is leave a comment telling me your favorite werewolf--from any book and/or series. The giveaway will be open for one week and will end at midnight on Wednesday, July 20th. I'll announce the winner the next day. This giveaway is open to U.S. addresses only. As always, please be sure to leave me a way to contact you. Next stop on the tour: Friday, July 15 – Green Bean Teen Queen – Isabel! Maggie is so talented, it's crazy. That being said, I have always loved Sam and I'm excited to 1)see this print of him and 2)his playlist! How I can't wait to be able to just sit and listen to his songs. Love this Blog Tour! So fun! I'm glad you're apart of it Angie! Although I adore Sam in Maggie's Wolves of Mercy Falls trilogy, Cole St. Clair is my favorite werewolf. Hm, that's a really hard question. I'm going to go with Kitty norville. I've read alot of paranormal romances and Samuel K. Roth is the BOSS!! haha..... but seriously he is. Calla from Andrea Cremer's Nightshade series. Just came from Maggie's signing in PA! My first and favorite werewolf is Wolf from The Talisman by Stephen King & Peter Straub. Mmmhhh.... My favorite werewolf... this is a hard one... NOT! Sam, duh! I'm also leaning towards some of the wolves in the Nightshade series... This question just got more complicated. SAM is by far my favorite werewolf, though the distant second would be Daniel Kalbi from The Dark Divine series. My favorite werewolf is Cole from Linger. I can't wait to read this and finally finish the story! SAM ROTH SAM ROTH SAM ROTH...need I say more?! Thanks for The giveaway. Of course Sam is one of my favorite werewolf but I also love Cole, he es so irreberent. I love him. For were's I have to say that I love Keiran from Tantalize. I'll probably have to go with Ren from Nightshade! Love them bad boy werewolves. Everything Maggie does is pure gold! Thanks for a chance at a fantastic..yes, FANTASTIC! giveaway! My favorite werewolf is Remus Lupin from the Harry Potter series. My favorite werewolf is Sam, without a doubt. But unlike you, I wasn't so sure I liked Sam at the beggining. But now I find him to be an incredible guy. I wish someone would love me as fully as Sam loves Grace. That sketch is wonderment wrapped in awesomesauce. I MONDO LOVES IT!! Definitely Sam Roth. I also like Lupin from the Harry Potter series. Wow. I honestly can't sort out my feelings about this picture. One one hand, it looks exactly like how I pictured Sam. On the other, it looks nothing like him. I'm sure this seems like a copout, but werewolves aren't actually my favorite thing to read about, so there's not that many for me to choose from. What I'm trying to say is Sam's my favorite. I like Sam. It's stupid, but I think he's more like a big old loyal puppy. He's my favorite. My favorite wolf is Sam because he's so mature. I love his love of poetry and the way he loves Grace & never forgets her when he's a wolf. But most of all I love Sam because he's a charter that stays with you because of everything he has been through since he was a child. You can also feel his pain, he's very moving. My favorite werewolf is a certain one from Fateful by Claudia Gray. (I won't name any names since it's not out yet but it's a great book! 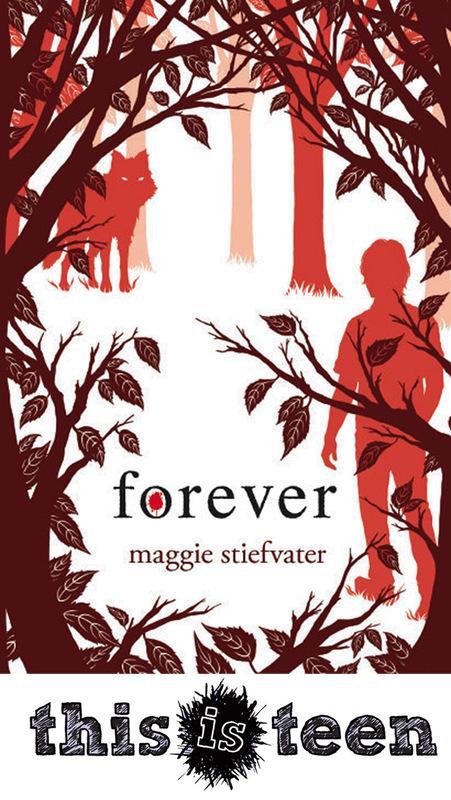 I highly recommend it) I do like the Shiver series as well and the drawing is great! Thanks for the giveaway! Favorite werewolf... Lupin from Harry Pottter. I love Sam and want him to be real so I can steal him but my all time favorite has to be Lupin, probably because he always has chocolate, which is a trait I apprciate. I read A LOT of mostly YA and Paranormal romance books and I would have to say, without a doubt that my favorite werewolves, ever, are Sam and Cole! Maggie is a talented writer and her book's are amazing, clever and so realistic. I cried the first time I finished Shiver (I don't cry after watching the saddest movies but the ending made me SHIVER.) The characters are SO very real, they just come to life and you feel what they do. They LINGER with you. Great job Maggie! Samuel Kerr Roth and Cole St. Clair FOREVER! I love Seth Clearwater from the Twilight series. He is a breath of fresh air during all of the intense action/fighting. He truly respects the Cullens and is ready to help them. It really doesn't get much better than him! Wow, this is actually pretty hard. I love Sam, but as a wolf, it's Cole St. Clair, hands down! My favorite is definitely Ren from Nightshade! Oh, Remus Lupin for sure. He's great!! Great giveaway. I really love this series, and I think it's awesome when authors make playlists for their books. Funnily enough, my favorite werewolf is Sam. The reason being how deeply he feels for his humanity, and how much he struggles to hold onto it and remember it. I love the notion of the "monster" who clings to his humanity so strongly. Maggie gives Sam such a great layer of emotion, and that is why he's my favorite. The only other werewolf book I've read is Twilight and I really didn't like any of those werewolfs... SO Sam all the way! This is one of my favorite series and I'd die if I won. Thank you so much for doing this giveaway! ohhh...good question. defs a tie between cole and lupin. I really love these books. Sam and Grace's relationship is so real for two people who are only human a quarter of the year. That and the fact that Maggie's writing is so incredibly good is what make this series one of my very favorites. My favorite wolf is Jacob Black. He is so awesome and he's huge. Thinking about this, I'm realizing there are a lot of really great werewolves in literature, and I love a lot of them. For my favorite, however, I'm going to pick Samuel from the Mercy Thompson series. He is such an interesting character, son of the Marrok, ancient, a lone wolf, a doctor, and his wolf, Sam, is awesome too. I've never been good at picking an exclusive favorite, but...I do adore Derek from Ilona Andrews' Kate Daniels series. He burrows deeper under my skin with each book. What an awesome blog tour!! Maggie is one talented lady is all I can say. I can't wait to read FOREVER. My favorite werewolf? Yikes! I can't pick just one... So here's my top there: Adam from the Mercy Thomspon books (but Bran and Darrell take a close second), Prof. Lupin from Harry Potter, and Derek from the Kate Daniels series. Sam is totally my favorite werewolf, although I do really like David from the Hollows series who tries to get people to join his pack for "insurance purposes." I was never much into werewolves until Shiver. I absolutely fell in love with Sam so I'd have to say that he is definitely my favorite. I also like Luke from the Mortal Instruments... in a protective papa wolf type of way. The sketch and playlist rock! I was surprised that I had all but 2 songs... nice! It's totally Sam, no joke. I love Sam from Shiver. His relationship with Grace is amazing. Hmm... I wanted to cheat and say my favorite werelion (Curran!) but instead, I shall play by the rules and say Remus Lupin in honor of the last film coming out. I haven't seen it yet, but I expect I shall ball my eyes out when said werewolf suffers the same fate as so many other beloved characters in the final book. My favorite werewolf would have to be Riley from the Intertwined series. He's kind of a supporting character but he steals the show for me, his romance with Mary Ann is the reason i read that series. As a reflex I would easily say Sam is my favorite. But after a little more thought it came down to a toss up between Beck and Olivia, leaning a little more toward the Olivia side. She wasn't a wolf for long, but I still thought she was a darn good one. I love Cole from the Wolves of Mercy Falls trilogy for being a rough-on-the-outside sweet-on-the-inside guy. Sam from Shiver no question about it! My favorite wolves are from Wolves of Mercy Falls, but if I had to pick one then it has to be Ulrik. If only I could have his accent then everything would be perfect! I love Sam, of course, but he's not my favourite. I think Sam is awesome and incredibly sweet, but Cole is my favourite werewolf ever.